Spring has sprung here in PA and spring means rainbows, flowers and warmer weather. 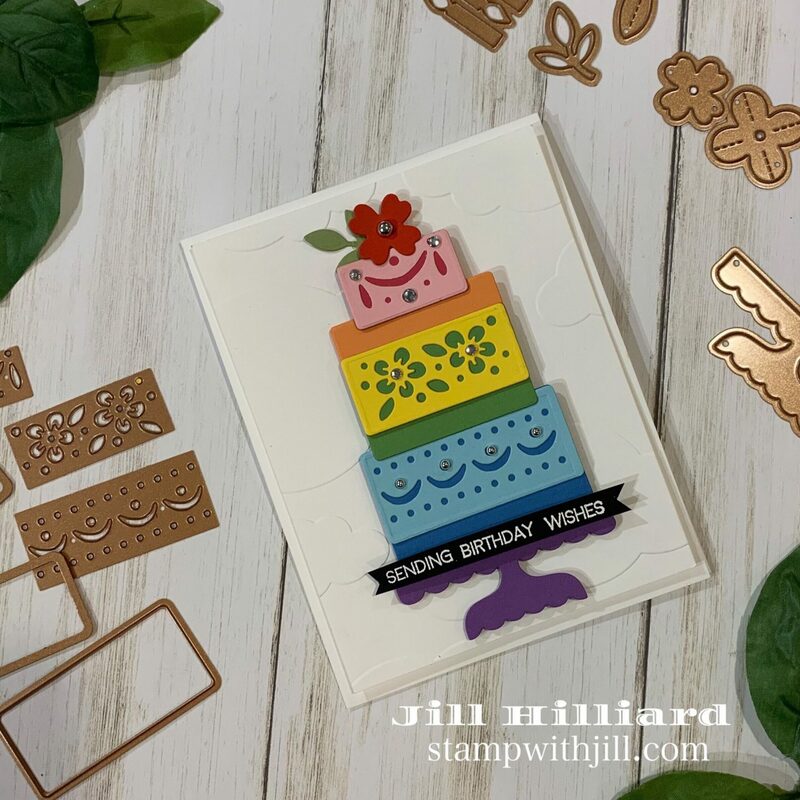 Todays project is rainbow cake birthday card featuring the Celebrate with Cake dies from the HAPPY Collection by Sharon Sowell and Spellbinders. This die set has 3 fabulous cake layers with lots of accent elements and a cake stand too. 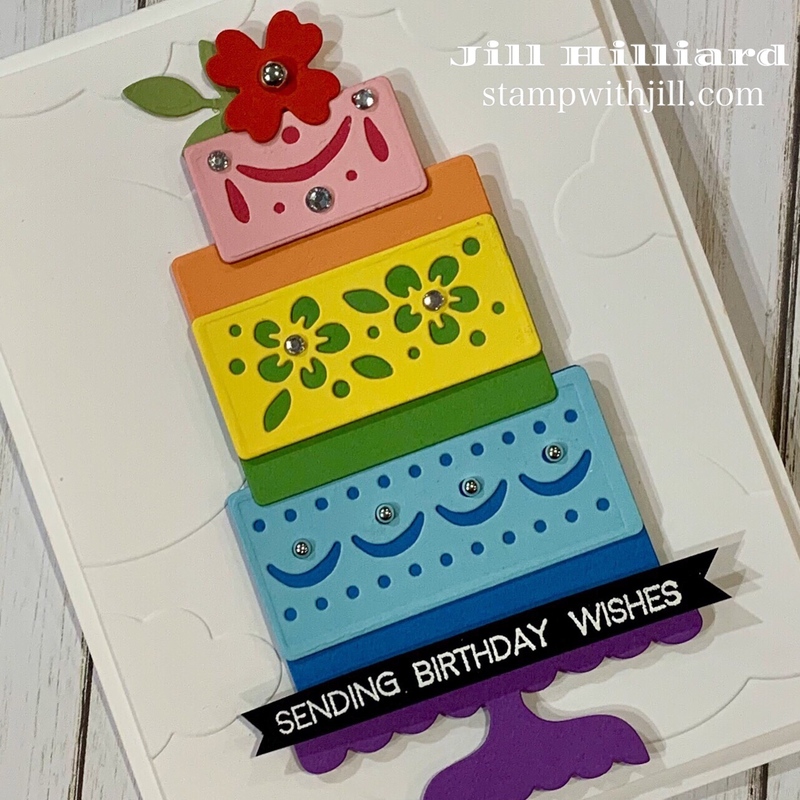 Of course this card is perfect for anyone who loves rainbows! In order to get all the colors of the rainbow on the cake, I added some extra die cut cardstock layers to the 3 main cake layers. 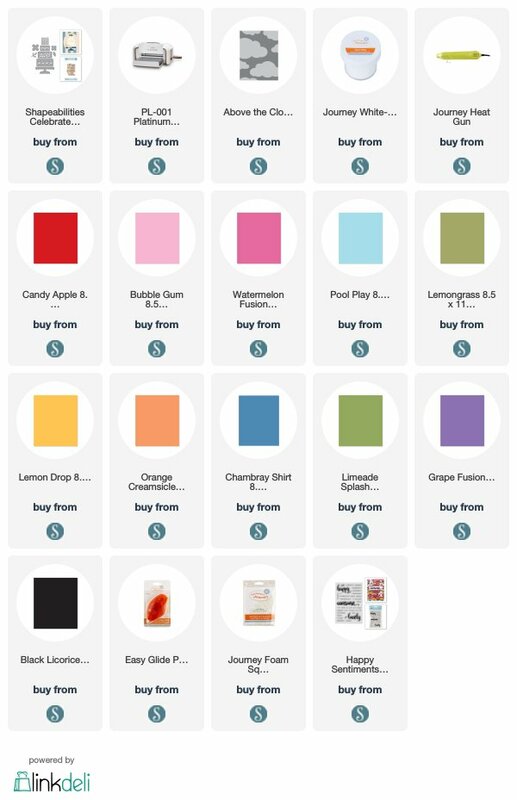 Check out all the yummy FSJ cardstock colors below. The cloud embossing folder, fashion silver and some rhinestones finish of this fun card! That cute Happy Sentiment is heat embossed on black cardstock so it really POPS! In addition to birthday, there are so many cake options such as Wedding and bridal showers. Not to mention cake flavors like chocolate and strawberry! All supplies are from Spellbinders + FSJ. Product links are below.